This entry was posted on October 25, 2014 by Elana. 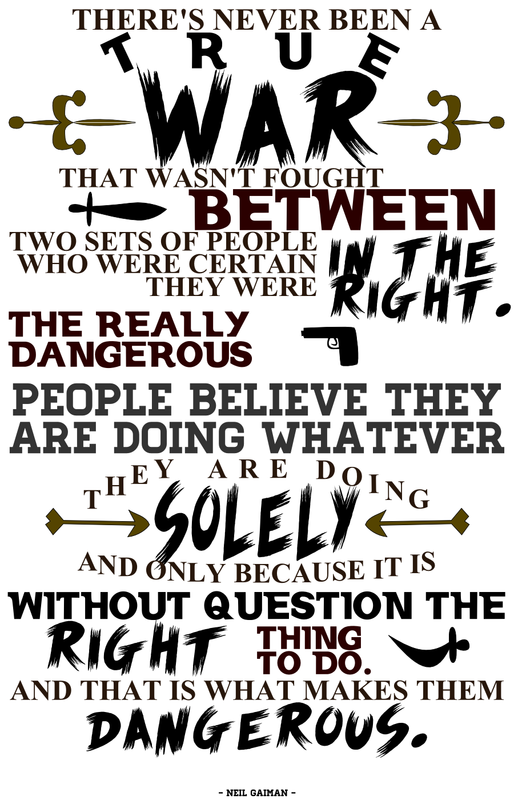 It was filed under Quotes and was tagged with american gods, neil gaiman, quote saturday, quotes, war. I’m so glad you like it! 🙂 I tried very hard to make it both decorative and legible.